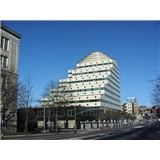 Fordham Plaza Dental Associates - Citident (Bronx) - Book Appointment Online! Welcome to Fordham Plaza Dental Associates - Citident We are dedicated to welcoming patients at our office in the same way we would welcome them to our homes. We believe that your first encounter with our office should be a comfortable and positive one, from the time you first call, to the time we say good-bye. Our goal is to keep our patients happy, always remembering that you, the patient, are the reason we are here! It was a great visit, My family and I are very pleased!